The sheer quality of so much of the music performed by (relatively) unknown up-and-coming musicians is gratifying, for obvious reasons, but it can also be troubling. It is difficult to escape the realization that too many of these musicians will ultimately fail to get the attention they deserve. 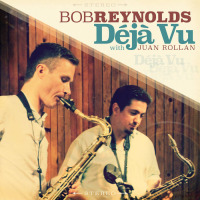 How nice it is, then, to hear Bob Reynolds, a gifted young saxophonist and composer whose record Can't Wait For Perfect is already garnering raves from no less than the likes of Joshua Redman and Michael Brecker. 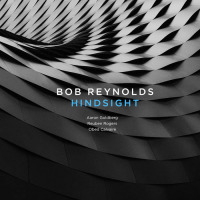 The ten compositions on this release become firmly lodged in one's noggin after only a few listens, demonstrating why Reynolds is a three-time winner of ASCAP's Young Jazz Composer Award. 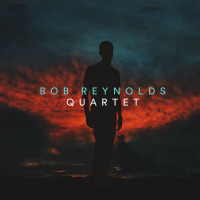 The performances by Reynolds and his excellent group, featuring pianist Aaron Goldberg, bassisst Reuben Rogers and drummer Eric Harland, are utterly assured, whether locked into a deep groove or nimbly dancing around a tricky figure in shifting meters. The tunes emphasize two major aspects of Reynolds' sound. The first is his way with a groove, epitomized by the fantastic title track, which sounds something like the classic Cannonball Adderley quintet with Joe Zawinul as remixed by Radiohead. Also irresistible is "Last Minute (Late Again), a funky workout driven along by Rogers' insistent bass figures that perfectly conjures up a feeling of dashing along bustling city streets. 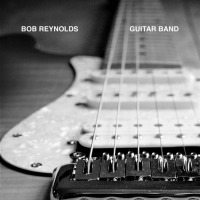 Reynolds avoids lapsing into easy soul licks here, ripping off a harmonically varied solo against great support by stick man Harland, who digs into some hot stuff himself near the end. The second batch of tunes demonstrate that Reynolds can write and play rhythmically and harmonically complex modern jazz that swings fiercely. Tops here is "First Steps, a knotty melody over shifting meters that benefits from the strong contribution of guest guitarist Mike Moreno. Also of note is lead-off track "Common Ground, with a great solo by Goldberg that climaxes with a flurry of harmonized arpeggios over the unusual but effectively subtle zooms of guest David Soler's pedal steel. "Nine Lives combines several of Reynolds' strengths, built on a 9/4 meter that somehow manages to feel locked in and fetauring a great straight-ahead solo, followed by some artfully overdubbed and treated multi-sax figures. Of course, not all the tracks are equally effective: the Steely Dan-ish pop sound of "Fiction seems a little too glib in comparison to the stronger tunes, and the synth washes and echo-treated sax of "Intro (For Tomorrow) amount to three minutes of pointless atmospherics leading into "Last Minute. But these are minor missteps in what is an immensely likeable, impressively written and played set of new music. 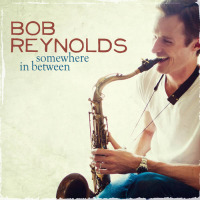 Reynolds accomplishes the difficult task of incorporating funk, rock and soul touches without losing the essential swing and driving intensity of jazz. Can't Wait For Perfect should appeal to serious jazzers, as well as listeners who come to the music from a funk or groove angle. Clearly, Bob Reynolds is someone to watch. Track Listing: Common Ground; Belief; Can't Wait For Perfect; Summer Light; First Steps; Fiction; Nine Lives; Intro (For Tomorrow); Last Minute (Late Again); The Escape. 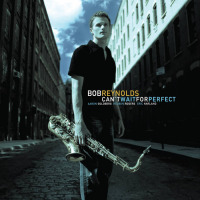 Personnel: Bob Reynolds: tenor saxophone; Aaron Goldberg: piano; Reuben Rogers: bass; Mike Moreno: guitar; David Soler: pedal steel guitar; Eric Harland: drums.